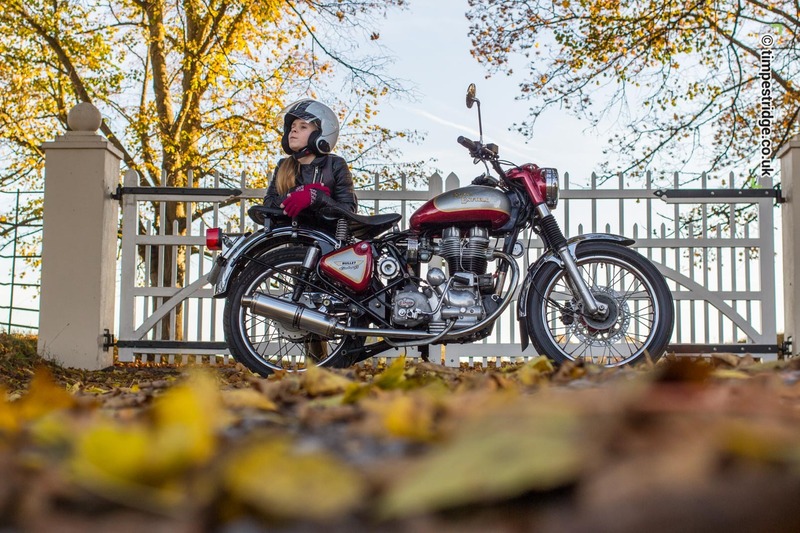 Well, as you may have read, my purchase of a little BSA Bantam D7 175 last November set me on an eye-opening journey, away from my usual preference for Japanese bikes, and towards a much simpler form of transport. Bought as a non-runner - but previously restored, I've enjoyed finding missing parts, fettling carb and piston, and firing her into life again thanks to the invaluable help of my local branch of the Bantam Owners Club. She's great fun despite having her gear lever on the 'wrong side' but a surprisingly willing little engine. 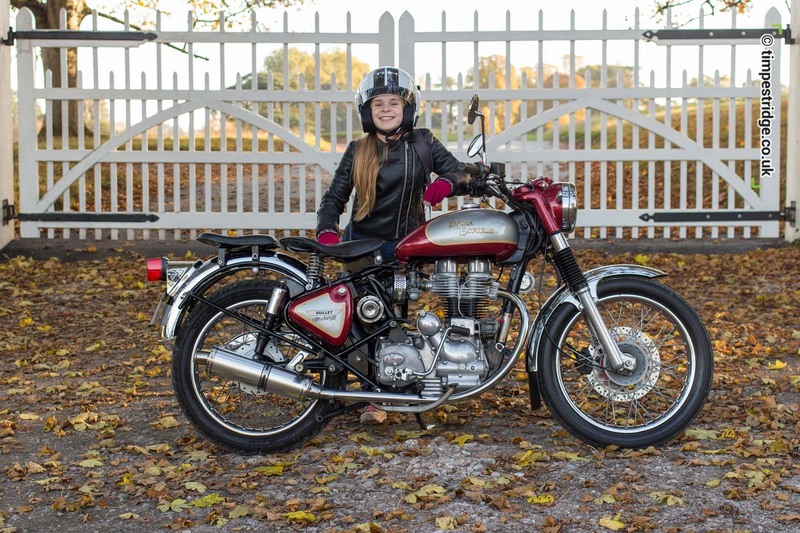 And now she's gained a stable mate - another classic motorcycle, a 350 Royal Enfield Electra Bullet 5-speed. 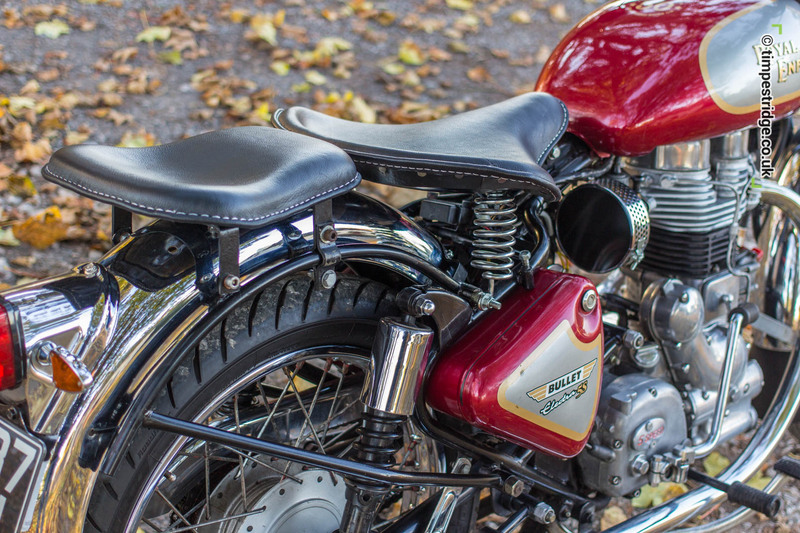 Probably weighing twice as much as the Bantam, the Enfield is in fact a modern day motorcycle. 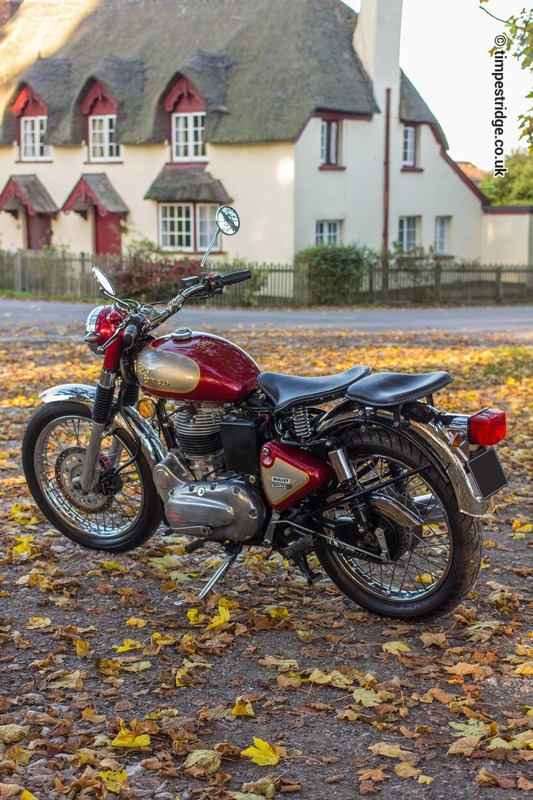 Built in India in 2000, the design has received mild updates from it's original 1950's British design, and consequently is an incredibly quirky bike to see and ride. Why an Enfield? 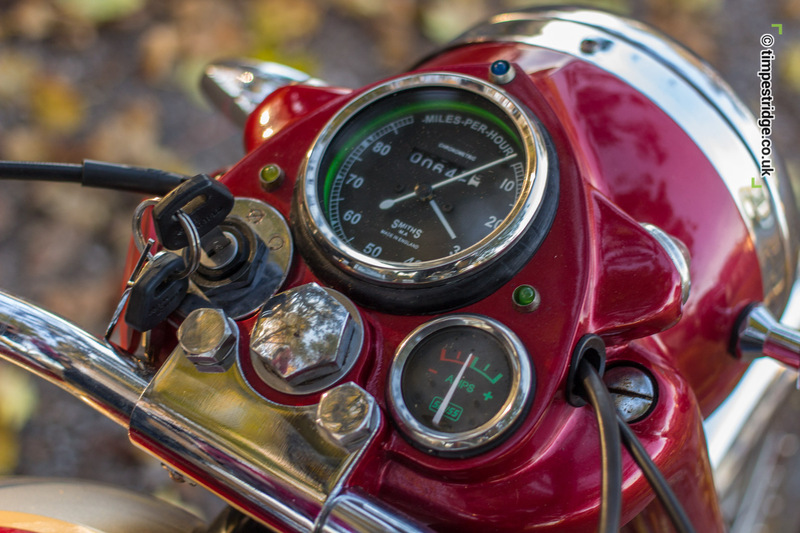 Well, some of the elements of the Enfield were present in my previous single cylinder trail bike, but the Kawasaki's lurid green and plastic panels made me feel like a try-hard teenager, revving through the city centre, reminding me I was riding the motorcycling equivalent of sports footwear on city pavements. 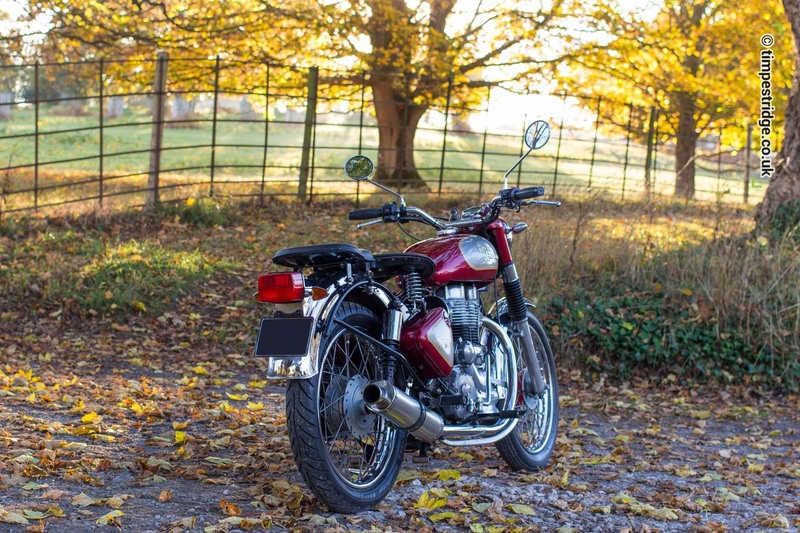 The Enfield just spoke to me - it's heritage, it's simplicity, and it's promise of 4-stroke reliability meant I was happy to sell the trail bike with the knowledge that the Bullet would more than fit the bill. Yes, I was losing my off-roader, but I thought that the Bullet could be transformed into a soft-roader with the addition of some knobbly tires. What you must expect with this bike is attention! The general public love the look of the Bullet, and I suspect it's one of the few motorbikes I've owned that get's photographed when I park up. 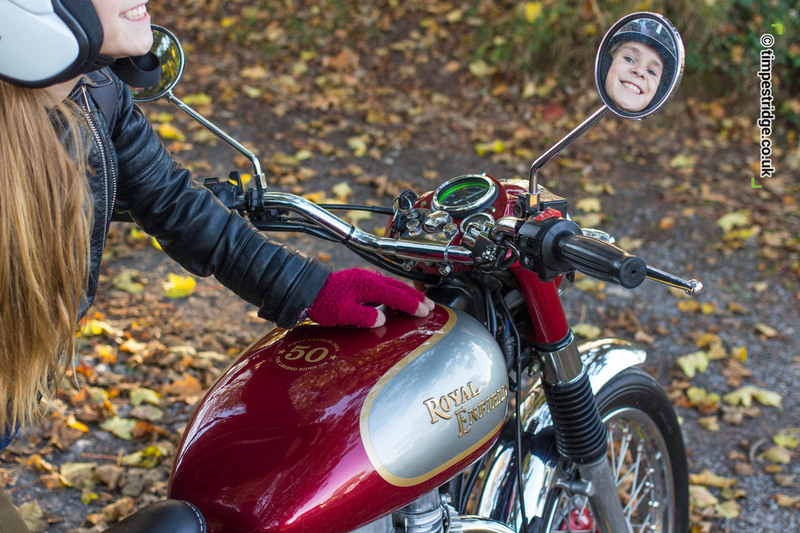 Having become a Royal Enfield believer, I've decided to sell this particular model and move up to a 2010 500cc model, which has had a mild trials make over. Can't wait to ride it later this month.